When an investigation commences for driving while intoxicated in New Jersey, the most common ways in which a law enforcement officer will determine whether or not the driver has been drinking is through observation, field sobriety tests and a breathalyzer test. However, there are times when a blood test is given. This can be because the driver is suspected as having been using drugs instead of alcohol or if there was an accident and the driver has been injured and can’t be transported to the police station to take a breath test. 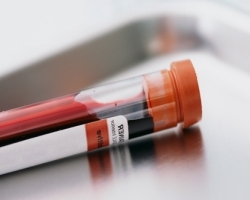 When a blood test is given, there are important factors that must be understood if there is an arrest due to DWI or driving under the influence of drugs. 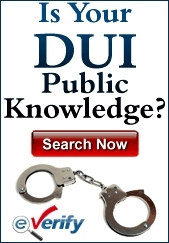 There’s a difference between a person who is arrested for DWI and a person who is arrested for a DWI after an accident with injuries. For a DWI in which the officer stops the vehicle, investigates and gives the driver a breath test with the BAC measuring 0.08% or higher, the penalties are straightforward. Depending on the level of alcohol in the blood and the number of times the person has been convicted of DWI, the penalties will rise. For a first offense DWI with a BAC of 0.08% and below 0.10%, the penalties for a conviction will include fines, surcharges, a driver’s license suspension and possible jail time. When a driver is convicted of a first offense DWI, the driver’s license will be suspended for three months. There will be a fine of $250 to $400. There might be a jail sentence of up to 30 days. $230 will be paid to the Intoxicated Driver Resource Center (IDRC). $100 each will go to the drunk driving fund and the Alcohol Education and Rehabilitation Fund (AERF). $75 will be paid to the Neighborhood Services Fund. There will be a surcharge for $1,000 per year for three years. If there is an arrest for DUI – an arrest that will require a blood test to determine the basis of the arrest – the penalties are the same as they would be for a driver who registers 0.10% or above on the breathalyzer. The driver’s license will be suspended for seven months to one year. There will be a fine of $300 to $500. All other penalties stay the same. If there is an accident that happened while a DWI or DUI was being committed and there are injuries or deaths, the penalties will not be a simple traffic offense as they are with a conventional DWI/DUI. The penalties can rise to the level of felony and could lead to as many as five to ten years in jail. When the driver is arrested for DWI and has a blood test instead of a breathalyzer test to determine what was in the blood and how much, there are physical changes with alcohol in the blood that must be accounted for because it can impact DWI tests. Alcohol is absorbed by the body slowly. From the time the last drink was consumed, it can take as long as three hours for them to be completely absorbed by the body. What this means is that while the DWI investigation is going on and as the driver is transported to the hospital for a blood test, the amount of alcohol in the blood is actually rising from what it would normally be. When the test is given, there is a very genuine possibility that the BAC would actually be lower than 0.08% if it was given at an earlier time. When trial time comes, this can be very important to the defendant if the BAC is 0.08% and the science behind the blood test is proven that it’s possible that the level rose over the level in the intervening time from the last drink and the blood test. It can also matter if the driver has a BAC of 0.10% and faces the heftier penalties that accompany the higher BAC. Even if there is a conviction of the lesser charges, that is still a shorter driver’s license suspension and lesser fine. Drivers who are facing DWI charges after a blood test need to know how to combat those charges. In some instances, a driver might consider it easier and cheaper to simply plead guilty rather than paying a defense attorney. This is a mistake when the defense lawyer might be able to use the rising blood alcohol defense to have the charges reduced or dismissed entirely.